UFC 227 PPV event is set to go down this Saturday (August 4, 2018) from Staples Center in Los Angeles, California. 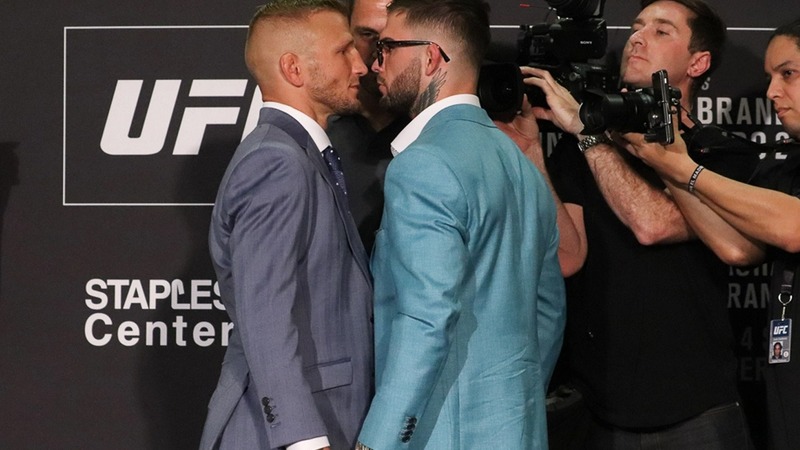 The main headliner features a rematch between current bantamweight champion TJ Dillashaw and Cody Garbrandt. In their first encounter Dillashaw scores a second-round TKO win. Meanwhile, the co-main event, flyweight champion Demetrious Johnson will look to defend his flyweight belt for the 12th consecutive time in a rematch against Henry Cejudo. ‘Mighty Mouse’ knocked out Cejudo in the first round in their first meeting back in 2016.